The year was 1941. Hitler was in power in Germany, and WWII raged across Europe. WWII had started in 1939, and the war was between the Axis group, which was Italy, Germany and Japan, versus the Allies, which were France, UK, and Russia. Europe was in complete chaos. In the United States, the citizens wanted complete isolation from the war. America had just come out of the Great Depression and decided that WWII was an entire ocean away, and they did not want to lose men in a faraway war. Franklin Delano Roosevelt was President, and he had to look at his country’s own problems, which consisted of finding and creating jobs after the Great Depression. In Japan, the prime minister was Hideki Tojo, and Japan was aggressively trying to expand it’s power in the Pacific. They invaded and were in a brutal war with China and had plans to expand into Thailand, Russia’s Siberian provinces, Singapore, Burma, the Dutch East Indies, and the Philippines. They wanted resources like oil, rubber, and metal to support their military. Japan joined Italy and Germany in the Axis Group in 1939. America strongly supported China against Japan and sent materials to help them fight. America also sent supplies and guns to the Allies in Europe. Because Japan was invading Indochina, America cut off trade with Japan to restrict their access to oil and other resources. Japan was very militaristic and run by military leaders who wanted to rule the Pacific. 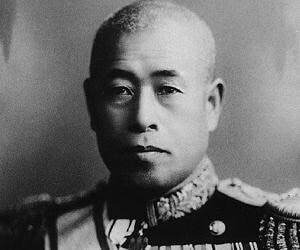 One of those leaders was Admiral Yamamoto, who devised the attack on Pearl Harbor. He knew that Americans underestimated Japanese military technology. The Japanese had developed superior aircraft carriers that could hold and launch planes from their decks, while the US relied on large battleships with guns. Yamamoto knew that Japan could never win in a long war with the United States, so he decided to quickly declare war and have a surprise attack on Pearl Harbor to destroy the US Pacific fleet and demolish the US will to fight. However, when Japan sent a declaration of war, the Americans did not decipher it, and they did not have any warning that an attack was coming. On November 26, 1941, behind a storm front, the Japanese sent 6 aircraft carriers with 430 warplanes, 2 battleships, 2 cruisers, and 9 destroyers and some submarines that carried midget submarines. They approached within 200 miles north of Pearl Harbor and waited to attack. The Japanese radioed the Americans about the attack ten hours before the attack happened, so that they would not attack a sleeping enemy. However, when the Americans tried to radio the Pearl Harbor base, something disrupted the signal, so the White House had to send it through mail, but it was not placed in the urgent pile. Pearl Harbor received the warning too late.